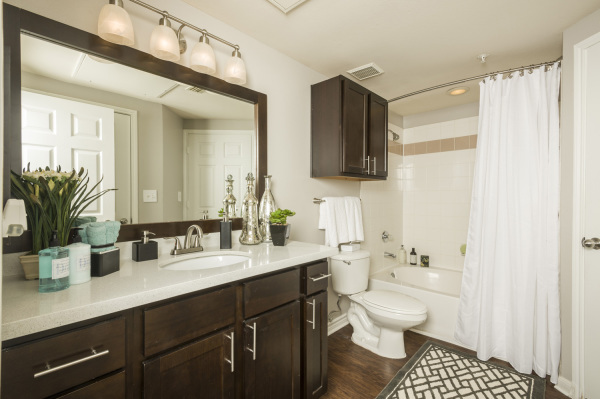 Estates at Fountain Lake is the first name in luxury apartments in Stafford, Texas. 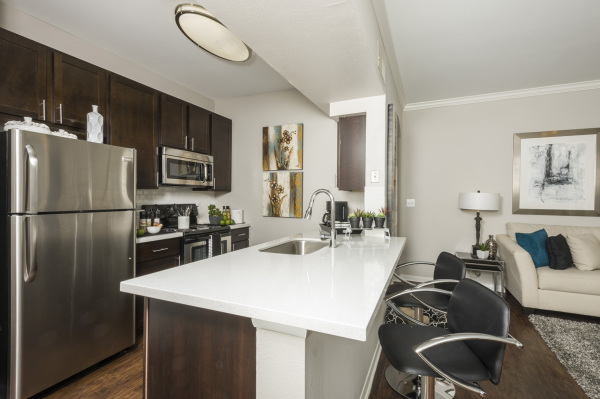 Our community features fully equipped one and two bedroom residences with expanded living spaces, contemporary features and elegant interior finishes. The property also offers the lavish amenities you would expect of any luxury community, giving you the complete lifestyle package you deserve. 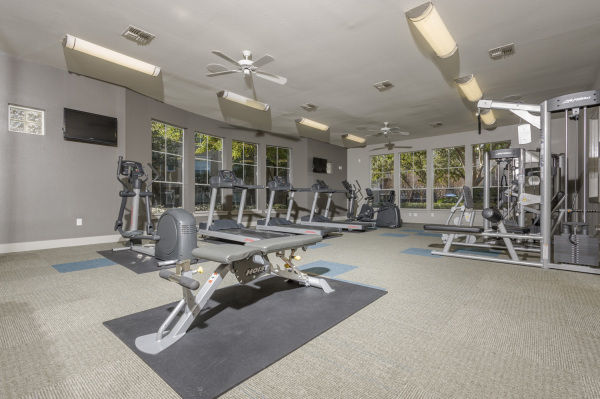 As a resident of Estates at Fountain Lake, you gain unlimited access to the community’s state-of-the-art fitness center, which includes a full suite of high-performance cardio and weight training equipment. Once you finish your workout, you can take advantage of the sparkling resort-style pool on the grounds. This beautifully landscaped space features lush, mature palms and a charming water feature. After a refreshing swim, you can relax on the pool area’s lovely tanning ledge offering both sun and umbrella seating. If you prefer to unwind indoors, you will love the elegant resident lounge, complete with a gourmet coffee bar, stylish social seating spaces and a flat-screen television for your convenience. The community’s executive business center provides a professional space with high-speed Internet and more where you can get some work done. In addition to the luxury on-site amenities, this community offers friendly staff, emergency maintenance services and an expert management team. The property’s unbeatable location provides quick access to US 59 and US 90, placing you just ten minutes from downtown Houston and even closer to amazing Stafford and Sugarland dining and shopping options. Estates at Fountain Lake is a pet-friendly community, so the four-legged members of the family are welcome as well. 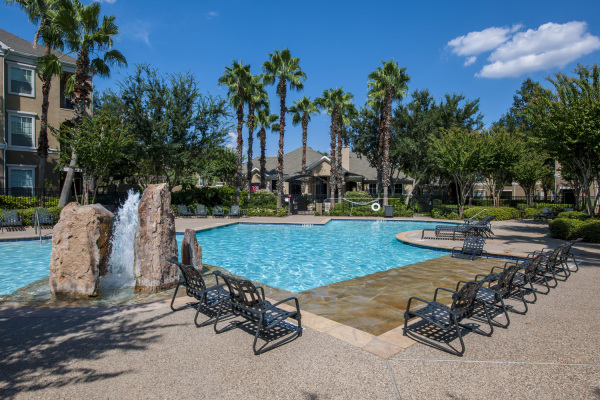 For information about breed restrictions, or for more information about the amazing Stafford, TX apartments in this luxury community, call or visit the leasing center today. **Features vary per individual unit.